Confession: I’m a sucker for James Wan’s horror movies. So naturally I was looking forward to “Annabelle”. Last year’s “The Conjuring” took everyone (even non horror fans) by surprise and became a huge hit. Naturally, it had to spawn a prequel. Gordon Gekko (That’s Michael Douglas, just in case) may reform in the Wall Street sequel, but Hollywood has never stopped believing that “Greed is good.” And “Annabelle” is good, at least in the sense of being serviceable for keeping you pinned to your seat. Fair enough. The story this time around focuses on the doll we saw briefly in the first movie. We meet John Horton and his wife Mia, who is expecting a baby girl. One day John surprises Mia with a child-sized antique doll, and that’s when things start getting…wait for it… ugly. OK, that’s it. Congrats to director John R. Leonetti, taking over for James Wan, for building tension as we wait for the good parts. Leonetti, whose 1997 “Mortal Kombat” sequel was probably the worst sequel of all time, should be the last person to direct a horror movie. But surprisingly, he keeps the thrills coming, building menace into this creepy doll. The ending? Predictable. 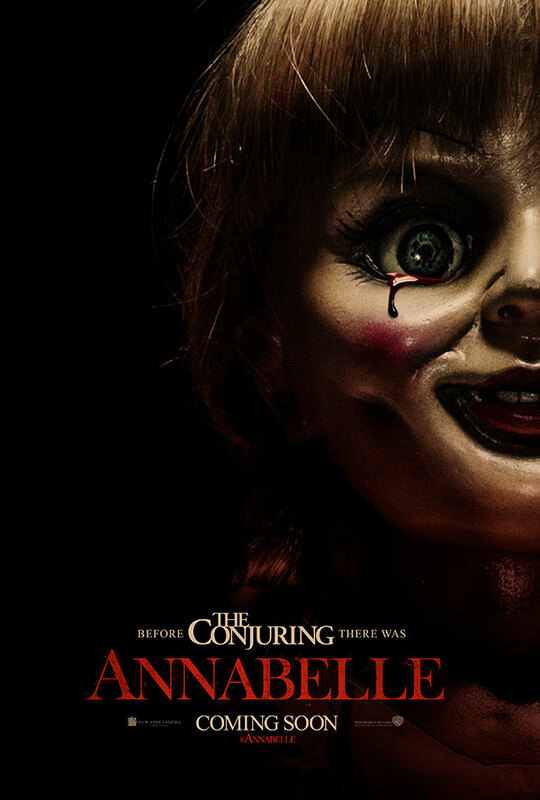 But if you’re looking for wicked fun this Halloween, “Annabelle” is the best goosebump game in town.